As Valentines Day was quickly approaching, me and Mr. Nomad looked for somewhere we could explore and get away to for a few days. 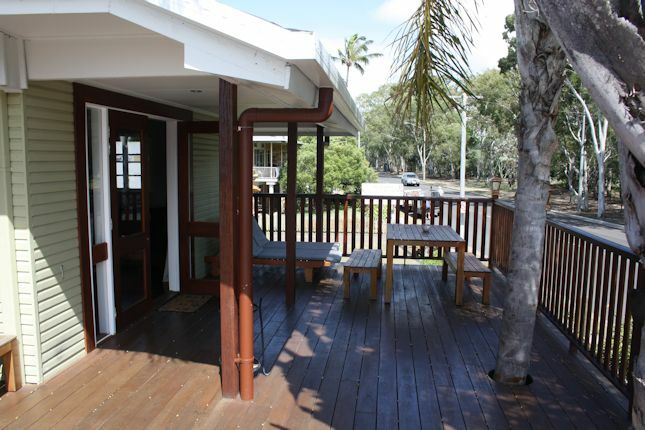 After scouring Booking.com we found Apartment Five 3 Five right on the main road next to the beach in Hervey Bay. 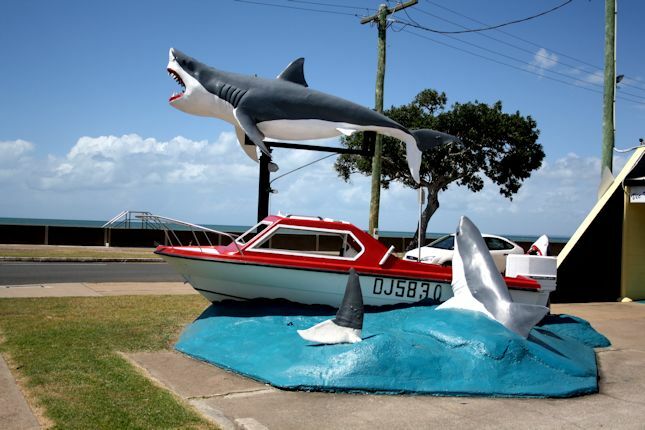 We'd heard great thing about Hervey Bay from friends, and thought it looked like a good deal so booked it. With the promise of clear blue water, fish and chips, a pier we could walk out on and the calmness a lazy seaside town had to offer, we were pretty excited for our little road trip. 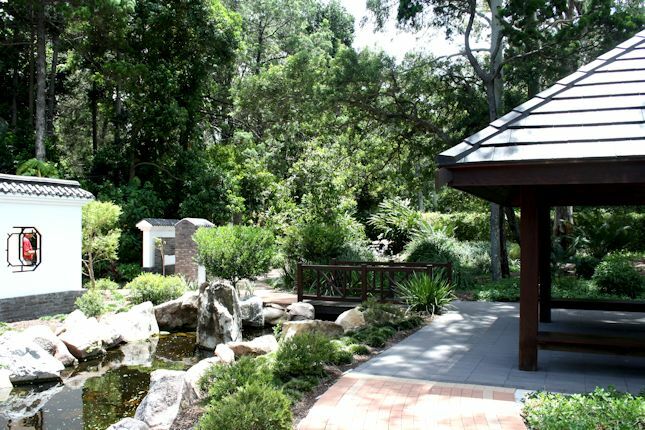 Hervey Bay is about a 3 and a half hour drive from Brisbane, but it didn't feel that far away due to the serene countryside roads. 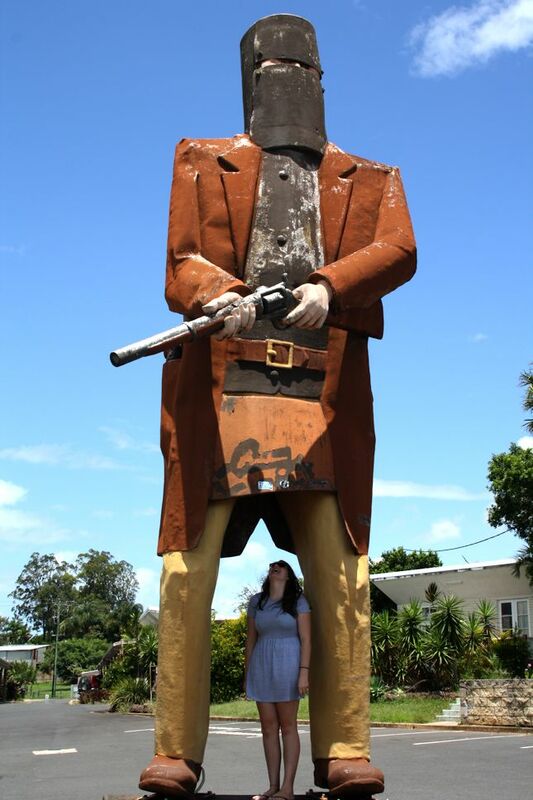 If you're thinking of heading up North to Hervey Bay, don't forget to have a photo with the massive Ned Kelly figure in Maryborough (it's just on the side of the road). I couldn't resist this sneaky shot. 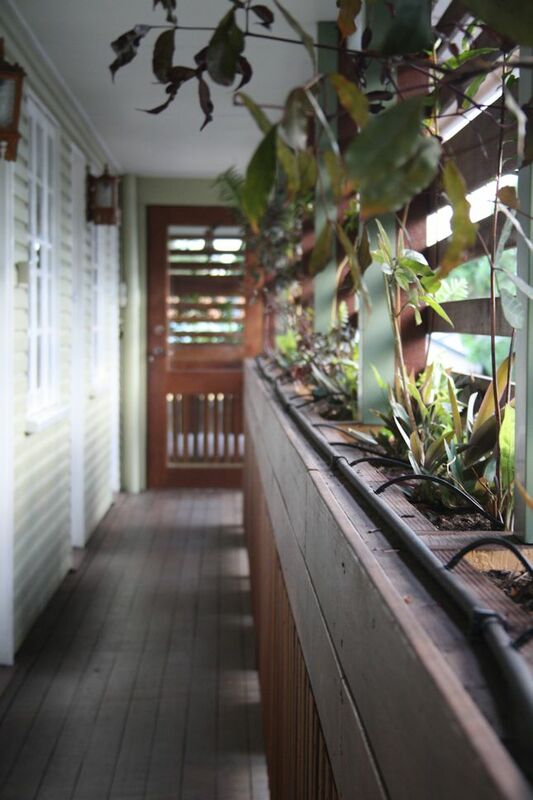 When we arrived at Apartment Five 3 Five, we were pretty impressed. 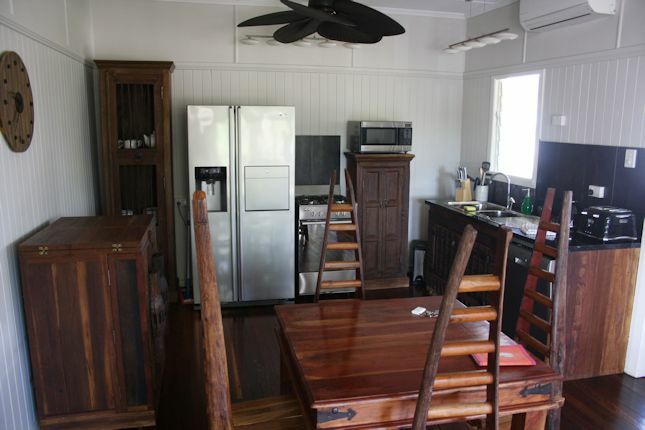 It definitely wasn't to our personal taste with all the antique furnishings (which didn't feel all that antique to me from the UK! ), but it was comfortable and nice to be somewhere a little different. We had a shared balcony with two other families, but there was plenty of space for all of us, and we all had our own tables and sun loungers. 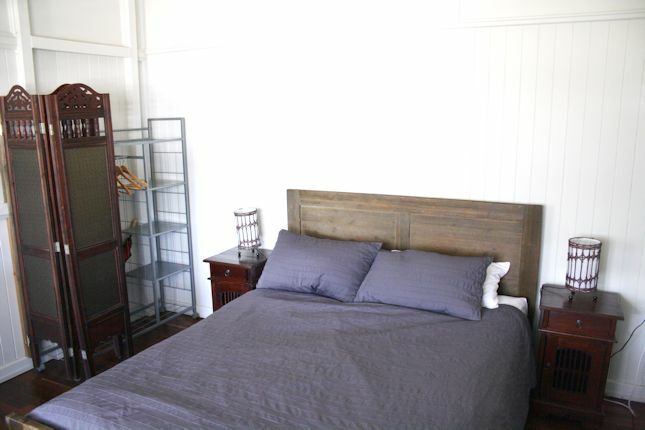 The rooms were modern but with these old furnishings had the perfect mixture of old and new. We also really liked the bathroom as it had a massive show with an above shower head which is nice when you've become accustomed to a shower over a bath. 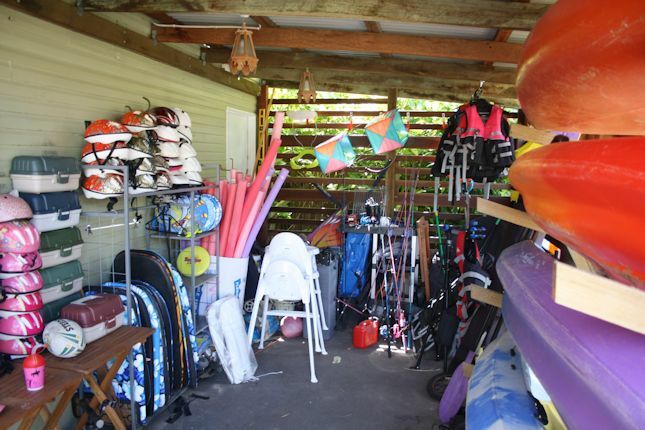 The thing we liked most about the accommodation though (apart from the air con and the fact it was so clean and well looked after) was the availability of kayaks, pedalos, bikes, fishing rods and body boards (to name a few). 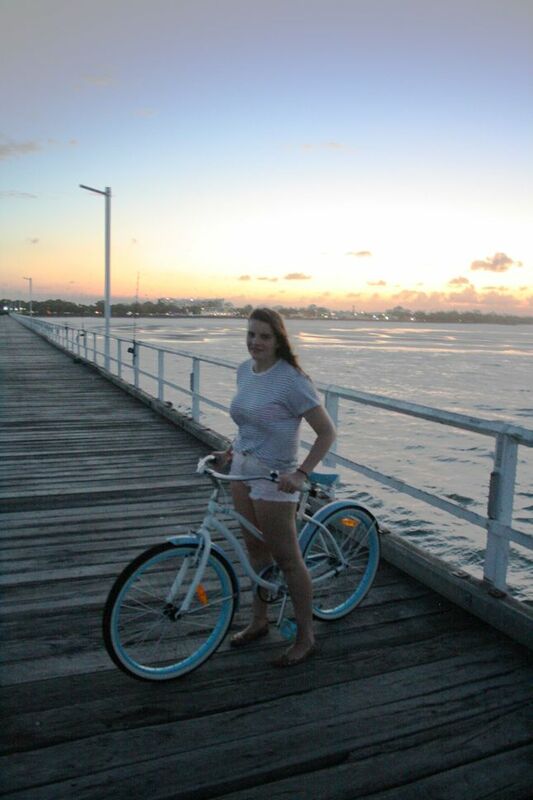 Although Hervey Bay is more of a relaxing destination, these things made it so fun.We went kayaking in the sea which we both really enjoyed as the water was really calm (and by the way, the beach was literally a 2 minute walk away across the road) and we also utilised the multitude of bikes and went on a lovely bike ride down the pier at sunset and watched fishermen catch a massive fish. 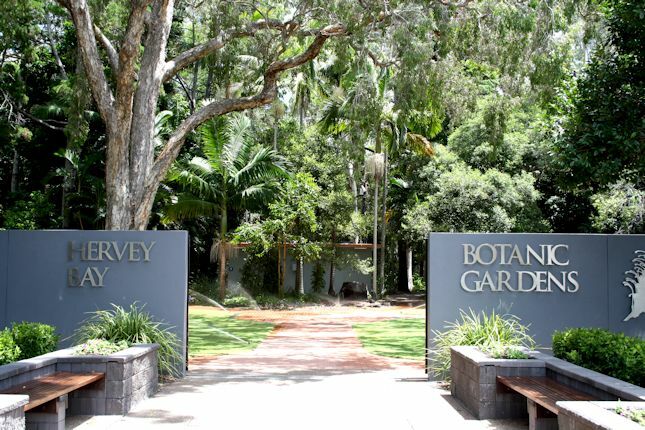 We also explored the botanical gardens and took photos of a controversial shark and whale visitor centre (Vic Hislop's Shark Show). We didn't visit here due to the awful reviews on Tripadvisor (check them out, they're pretty crazy!) but it was quite fun to take photos of as it looked so tacky. 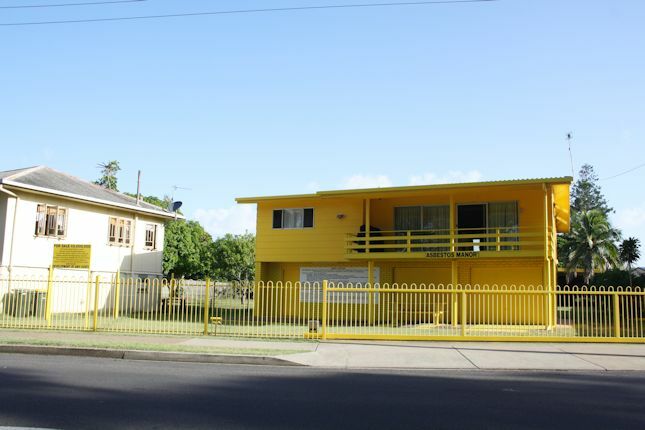 We also stumbled across a bright yellow house on the main road which intrigued us and after a little research we found out a couple had painted everything (house,fence, washing line and balcony) yellow in protest of the local council building underground car parks and buildings close to residential properties. 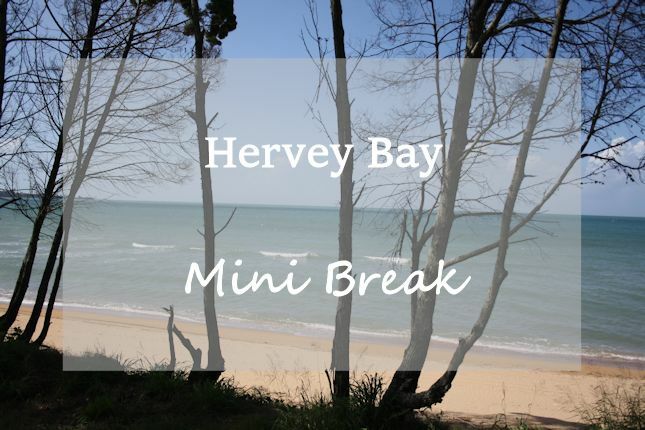 Whilst we were only there for two nights, we still seemed to pack quite a few things into the trip and we would both really recommend the accommodation and Hervey Bay in general for those wanting a little R&R. 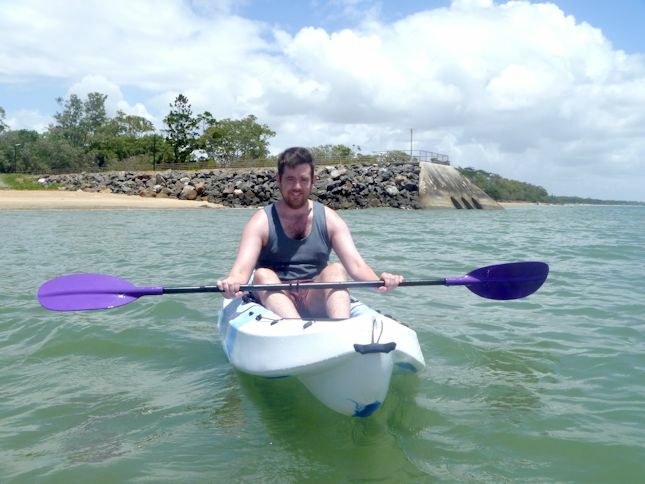 Next time we hope to visit the famous Fraser Island and go whale watching which unfortunately we didn't have time for. I also can't finish this post without mentioning a little gem of a cafe we stumbled across called Or2Bee which was AMAZING and the chef was such a lovely woman that has a wealth of knowledge about dietary requirements (coeliac and vegetarian over here!) and the Hervey Bay area in general. I tried a raw, gluten free lime cheesecake which was so, so good you'd never guess it was raw, and then at breakfast we went back and had organic peanut butter on gluten free toast with halloumi whilst Mr. Nomad had a organic ham burger which was apparently equally as impressive. They cater to gluten free, organic, raw, vegan and vegetarian people and even make coconut milk coffees (tasted so good), so definitely recommend this little joint. Mr. Nomad taking a good ol' bite of the giant pineapple. 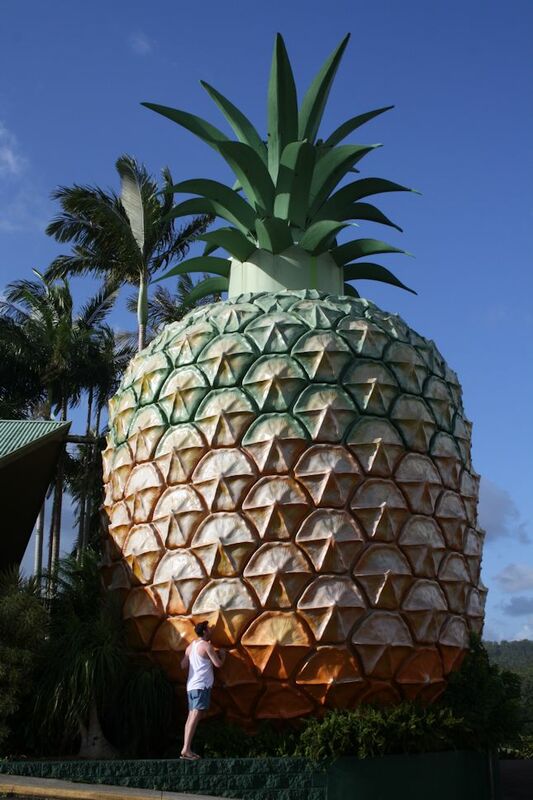 On our way home we visited the Sunshine Coast and the Big Pineapple which is a heritage-listed tourist attraction. Sadly everything seemed shut down, but we still had a little explore and an obligatory photo with the giant pineapple. Lastly, thanks so much for your comments on my previous post, it means a lot and things seem to be getting easier. Time and perspective is such a great healer. What did you guys get up to for Valentines Day?